ROGERS, Ark. 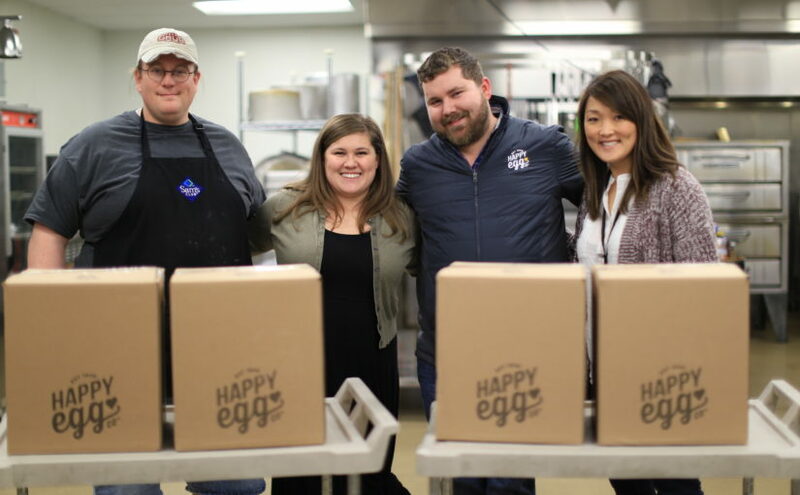 (December, 2018) – The Happy Egg Co., a Northwest Arkansas-based free range egg provider, is proud to announce a new partnership with the Northwest Arkansas Children’s Shelter, as part of its ‘Hatch Happiness’ giving program. 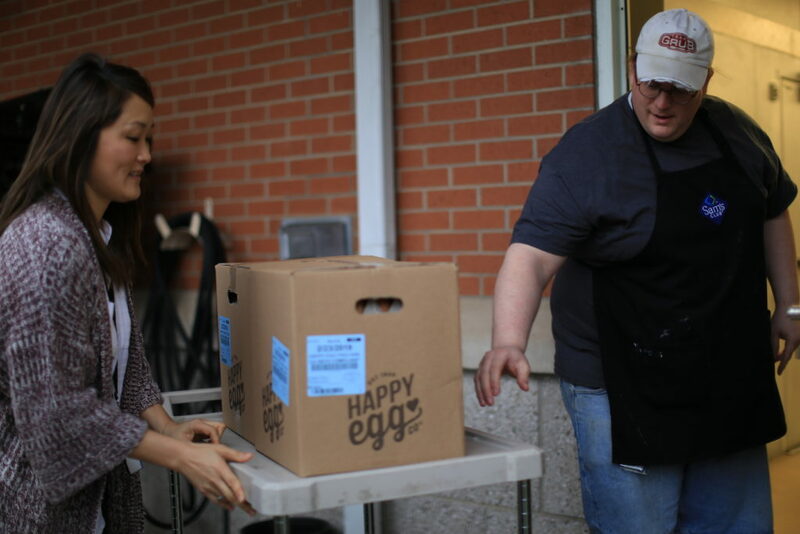 Happy Eggs come straight from the Happy Egg Plant in Berryville, AR to the NWA Children’s Shelter. 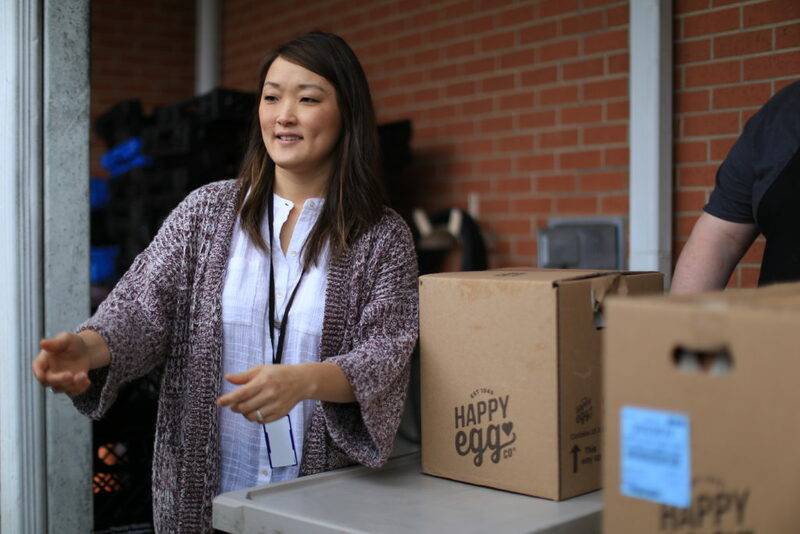 The Happy Egg Co. will donate 75 dozen eggs a month – or more than 10,000 eggs – over the next 12 months to the shelter, beginning in December. Many of the children served by the shelter have suffered from food insecurity most of their lives. Protein-rich eggs are one of the most versatile foods and this donation will supply the shelter with enough eggs to provide nutritious meals to more than 400 children annually. The Northwest Arkansas Children’s Shelter is a private, non-profit organization that provides 24-hour residential, emergency triage care for children throughout Arkansas who are victims of abandonment, abuse or neglect. The mission of the organization is to provide a safe haven, high-quality care and hope for the future to children in crisis. 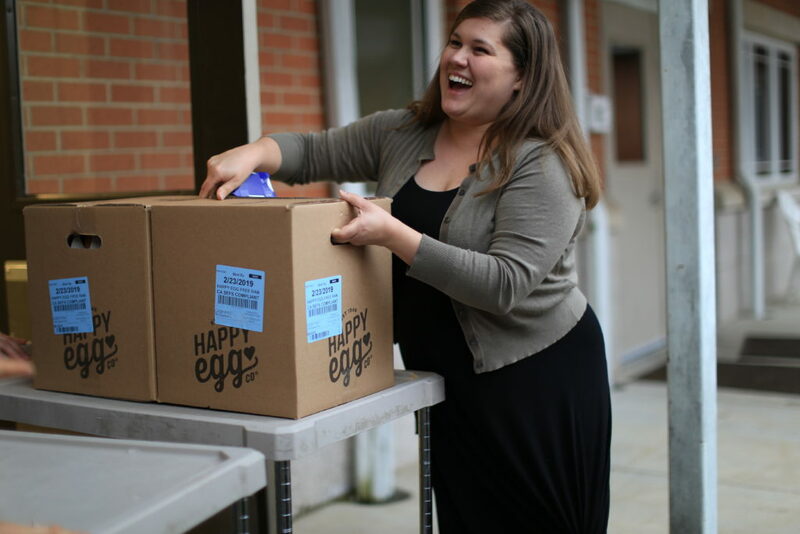 The Happy Egg Co. is a pioneer of free range egg farming. The company goes beyond humane standards to create an ecosystem for hens and hard-working family farmers right here in the Ozarks in Arkansas and southern Missouri to flourish and thrive. The Happy Egg Co. operates under the highest standards of hen welfare and egg processing as the only free-range egg brand certified by the American Humane Association. The Happy Egg Co. hens enjoy the freedom of the outdoors, spending each of their days under the sun, frolicking through acres of open space, socializing and flapping their wings – with access to more than eight acres of open pasture and nutritional feed and care from expert family farmers. The Happy Egg Co. is the proud recipient of Compassion in World Farming’s 2016 Good Egg Award and was recognized for its commitment to providing higher welfare free range eggs to the U.S. Market becoming the first U.S. egg brand to achieve this award.